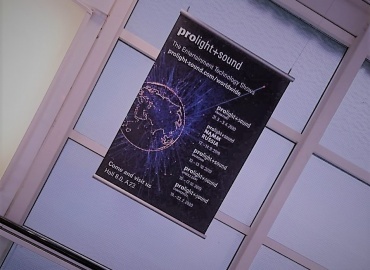 The Prolight + Sound conference program is a firm component of the trade fair. This is a long-standing cooperation between Messe Frankfurt and the Verband für Medien- und Veranstaltungstechnik e. V. The most important elements for the two partners are the planning of topics, selecting speakers, and organizing the conference program. In this interview with Ralf Stroetmann, the Divisional Director of Training & Law at VPLT, we take a look behind the scenes of the preparation phase. 1. You’ve been working with Messe Frankfurt for years on the planning of the conference program. How have the demands on the organization and the speaks changes in recent years? Until very recently, we at VPLT were the only ones who were devoted to the Prolight + Sound forum, which only took place in German. This year, we’ve already separated a basic version with technical and fundamental content from an advanced version with more complex content, in order to fulfill the needs of all the visitors. This will be continued in 2018. At the same time, we have increased our offerings for international visitors with English-language talks. These talks were already received by the audience with great interest. The entertainment level of the speakers is increasingly important, in addition to pure professional and multilingual skills. 2. Which organizational challenges arise before and during Prolight + Sound regarding the conference program? The real work has already been done by the time the fair starts. 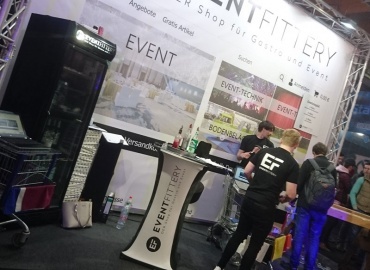 Having a good daily mix of topics throughout the duration of the trade fair is important. However, it’s important to take care that there aren’t talks on similar topics taking place at the same time, and that where English-speaking and German-speaking visitors can find items on the program. Coordinating that with the speakers’ appointment schedule often involves some juggling. 3. What’s the significance of Prolight + Sound for the industry? It’s been a firm fixture in the calendar of all the people who work with entertainment technology, and a constant in our fast-paced industry. In addition to “HandsON” with the technical products, interaction is continuing to gain importance. For us as organization, Prolight + Sound is the platform for keeping in touch with people in our industry and our members, for example at the “blue hour,” our event April 11, 2017, to which we’d like to issue an invitation!